Such is the case with the Berkshire Craftsman and Bungalow Revival District at the north east corner of El Sereno. Here, just south and adjacent to South Pasadena, you'll find an area of well-preserved little bungalow homes. So well preserved, in fact, that the area is under consideration for inclusion as one of Los Angeles's Historic Preservation Overlay Zones. The Short Line Villa Tract, located within the Berkshire Craftsman and Bungalow Revival District, has already been designated a historic district by the U.S. Department of Interior. 67 of the 86 homes in this turn-of-the-century subdivision contributed to the historic district designation. Several of these homes are now listed on the National Register of Historic Places. Just across Kendall from South Pasadena, the Berkshire Craftsman and Bungalow Revival District offers homeowners everything South Pasadena offers – except the price. The actual boundaries of the district are Maycrest to the West, Kendall to the North and Hunting to the South and East. Here, due to the difference in neighborhood names, nearly identical homes can vary in price by well over $100,000. The median sale price in El Sereno is $295,900, while the median price in South Pasadena is $730,000. In general El Sereno lying north of Huntington Drive is a lovely, quiet, and safe area. It's populated by an ethnically diverse group of hard-working residents that include everyone from professional people to military personnel to artists to blue-collar workers and street vendors. El Sereno residents enjoy a strong community feeling – often with many generations of the same family residing close by. Neighbors are friendly and the tree lined streets invite quiet evening strolls. It's obvious that residents take pride in their homes and in their community. Residents cite the variety of schools and the proximity of parks as reasons why it's a great place to raise children. They also enjoy the convenience of 3 freeways nearby and the short 10-mile jaunt to downtown Los Angeles. 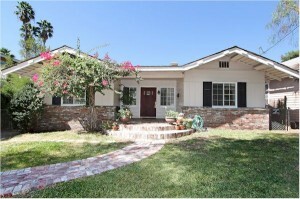 Others look to the proximity to South Pasadena – without the high price. This northern area of El Sereno suffers from its name – and that name's association with gang activity south of Huntington Dr. and away from the lovely Berkshire Craftsman and Bungalow Revival District . In short, homes in this part of El Sereno offer a little-known opportunity. Home buyers can choose between well-preserved homes and well-renovated "flipper" homes. Home renovators and flippers who have nearly exhausted the supply in Highland Park have now discovered El Sereno and are busily renovating homes in the area. There are early 1900's craftsman and Spanish bungalows as well as homes built in the 40's and 50's plus some recent new construction. Home buyers who want granite counter tops and stainless steel can find them here at an affordable price, compared to similarly renovated homes in Highland Park or South Pasadena. El Sereno's prices have not caught up to Highland Park's - YET. There is around $100,000 difference in the median prices of these neighborhoods. Interestingly, almost twice as many homes are selling in El Sereno as in Highland Park or South Pasadena. So if you're looking for the kind of bargain that El Sereno represents, it would be a good idea to begin the search soon. 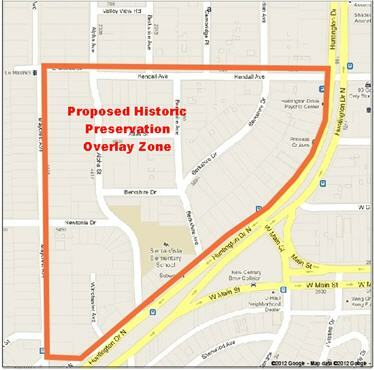 Most of El Sereno (then known as Bairdstown) did not develop along with adjacent areas in the period from 1870 to 1900. Part of the reason was that many of the surrounding areas were owned by powerful and wealthy men who put considerable money and effort into development. But possibly more significant was that the land in what is now El Sereno was largely owned by farming families. They were involved in agriculture and livestock and had no desire or incentive to develop their land for housing. A fun fact: The area of El Sereno lying north of Twining Street was included in South Pasadena when South Pasadena was incorporated in February 1888. However, the residents of this area were in disagreement over alcohol – and whether drinking establishments should be allowed within the city. Most said no, but the residents in El Sereno said yes. They didn't want to live in a "dry town." This disagreement led to their exclusion from South Pasadena effective October 2, 1889. Who knew?! Over the years, El Sereno has been home to a wide variety of residents. When in 1887 the Southern Pacific Railroad and the Santa Fe waged a fare war on travel from the east through to Los Angeles, immigrants from the East and Midwest flocked to the area. In 1902 the Pasadena Short Line opened along what is now Huntington Drive, and new subdivisions sprung up in close proximity to the railroad. El Sereno's population again increased from 1939 to 1945 as the country prepared for and entered into war. Due to rationing of gas and rubber, communities along the rail lines received the majority of new residents arriving to work at the munitions and aircraft factories in Los Angeles. Most subdivisions were focused on providing housing for low to moderate income families. The exception was the Short Line Villa Tract, subdivided in August 1906. This tract was adjacent to two previously subdivided tracts in South Pasadena: Baird Park Tract and Baird's Pasadena Short Line Tract. 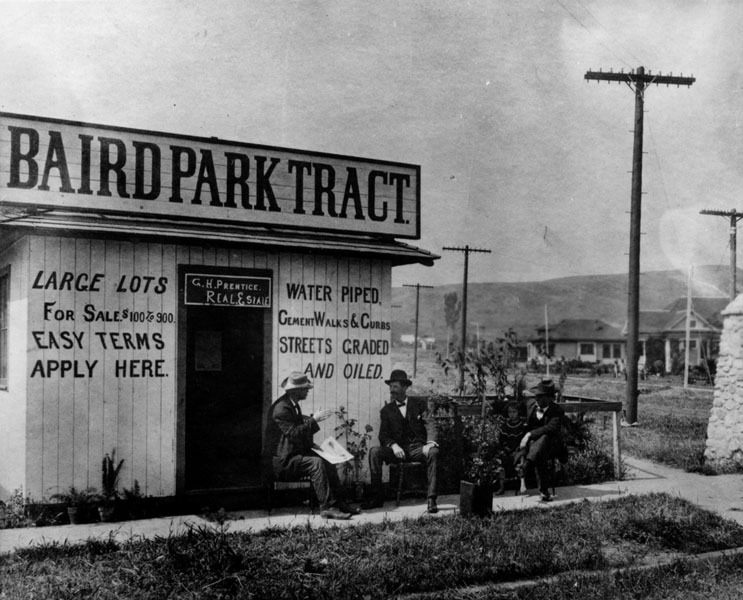 The early photo of the Baird Park Tract above (courtesy of the LA Public Library) shows a real estate office with signage offering large lots for sale: $100 - $900, with easy terms. The signage also noted that water was piped, the streets were graded and oiled, and cement walks and curbs had been installed. You can bet the people buying lots back then had no idea how much land in this area would eventually be worth! These 3 subdivisions were geared toward upper-middle-class residents, which perhaps explains the superior quality of the Short Line Villa Tract homes now being added to the National Register of Historic Places. El Sereno gets its name Depending upon the historical account, Bairdstown was changed to El Sereno (meaning serene, unruffled, quiet place) either just before or just after the area was annexed to the City of Los Angeles on June 10, 1915. After annexation the population in the area began to grow – as did commercial enterprise and community facilities. Middle-class subdivisions in Period Revival styles date back to the expansion of the 1920's. Gentrification A blessing to some and a sadness to others – gentrification has come to El Sereno. Old store-fronts are being renovated or replaced and new businesses are opening to serve the ever-growing younger population. Though some long-term residents are saddened by the loss of cafes and stores that have been part of their daily lives, many celebrate the added variety of goods and services as well as the sparkling new storefronts. Think of Highland Park before York Blvd became the place to be. El Sereno may not be quite there yet, but you can claim your stake now and help shape what is likely to be come a very popular neighborhood sooner rather than later. When you're ready to see the homes that El Sereno has to offer, get in touch. I think you'll be pleasantly surprised at both the quality and the prices.